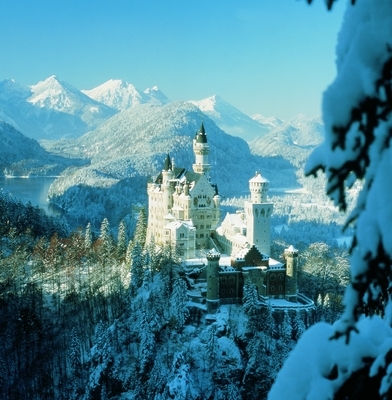 Bavaria’s collection of Sightsleeping® hotels invites you to say in palaces, castles and designer hotels and surround your senses with the arts even where you sleep. The newest collection of 43 properties includes a stylish city hotel in Nuremberg, a chalet with lodge views of the mountains beyond Lake Tegernsee, and a 15th-century castle. Membership in this exclusive collection is based on agreement by a jury of art experts, professional designers, journalists and tourism experts. Criteria for inclusion are the attraction value and the aesthetic level of an establishment. Only those candidates where sightseeing begins in the hotel itself can be included under the motto “Sleeping with an eye for art”. These hotels offer a new option in experiential travel, where arts and culture are as important in the hotel where you stay as they are in the destination visited. “We offer many cultural events in Bavaria from exhibitions to classical concerts, jazz weeks and more”, explains theme manager Kristina Nagl. “With Sightsleeping® Hotels, we now offer guests accommodation options that are also culturally oriented. Sightsleeping® stands for a new type of travel, in which the hotel experience plays a central role. You are as you sleep. The arts are your muse”. The Sightsleeping® jury meets in October each year to decide which new candidates to admit to the collection. The strict selection process guarantees the quality of the offerings. Criteria include the attraction value and the aesthetic level of an establishment. Palaces and fortresses or contemporary architecture with a modern design are all viable candidates for the portfolio. An important requirement is that the décor be worth seeing – with paintings, prints, drawings or sculptures with real aesthetic appeal, or where a concept can be identified. The hotels are often further distinguished by their own cultural offerings and organize readings by authors, concerts or theater productions. Information about the Sightsleeping® hotels, events in and around them, and a downloadable version of the Sightsleeping® catalogue are available at http://www.bavaria.us/sightsleeping-hotels-bavaria. Dromoland Castle is celebrating its 50th anniversary as a luxury destination resort this year, and doing it in grand style. With Ireland’s year-long spectacular The Gathering, also scheduled for 2013, visitors can now join in the celebration with two uniquely Irish, but decidedly different experiences with one short flight across the pond. With Dromoland as their perfect base camp visitors can enjoy the resort’s special hospitality, complete with commemorative activities, as well as The Gathering’s educational, inspirational and family friendly festivities and events. Dromoland Castle, located in Newmarket-on-Fergus, County Clare, was built in the 16th century. Majestically set on the shores of Lough Dromoland, it is surrounded by over 450 acres of breathtaking scenery, including a championship parkland golf course. Lavish interiors, fine food and superb wines complement the deluxe accommodations of the Castle’s 99 guest rooms, while Dromoland Castle Golf and Country Club, an intimate spa and traditional outdoor recreational opportunities ensure a unique guest experience.